Invest. There I said it. Laser hair removal takes multiple treatments. Therefore, laser hair removal is truly an investment in your time and money. Laser hair removal is being offered on almost every street corner in Pittsburgh. Salons, med spas, national laser chains – the choices are seemingly endless. Doctor’s office vs. salon or med spa? You need to beware of the consequences if you don’t choose you laser hair removal office wisely. Here is our “Beware List” for Pittsburgh laser hair removal. #1 Beware of Fake Discounts – Which Per Cent Off Is Best? 60% or 70%? Price is the number one condition that most people use to choose a laser hair removal facility. Which is the better deal? 60% or 70% off? Is the per cent discount really the best method for you to use to start narrowing down your options? Not unless you’re a sucker for fake discounts. You often hear the 70% off “deal” on the Pittsburgh radio stations from Ideal Image. Here’s what others have learned the hard way when the rubber hits the road. Read these reviews from Ideal Images “pissed consumers” to learn the truth about their discounts. Learn from others who have had laser hair removal. How can you be sure that your getting a good deal? First of all, places that don’t list their prices on their web page or give a range of the costs are suspect. They can wheel and deal. They usually start at a ridiculously high price and then the discounting begins. They’ll often throw in an “extra” body part that for “free”. The power of the word, free, has enormous psychologic appeal. Free is the most powerful marketing word that exists. The problem is that nothing is really free. Giveaways, bonus treatments, VIP discounts, coupons (Groupons), and even loyalty cards all come at a price. These are all gimmicks to try to sell you something and keep you coming back. Free stuff works. Give-aways work. Now for those huge 70 per cent discounts advertised discounts. The original price is inflated. That gives them a lot of wiggle room. The dealing typically includes BOGOs. Often guarantees are verbally given but are only fully explained in the 15-page contract’s fine print. Then when you find out the restrictions on the guarantee, it’s too late. These guarantees include you not being allowed to tan or if you miss or skip a treatment. After all the complexities of the deal are figured in, you may find out too late that you should have gotten a few more estimates before you signed that legally binding contract. #2 Beware of Financing Through the Laser Hair Removal Office. Just like when you buy any big-ticket item like a car or home, financing is a huge profit maker for the office that offers it. It can easily double the original cost. Banks, car dealerships and even plastic surgeons offer financing for indulgence items but that doesn’t make it right in our opinion. Those financing companies don’t care if it doesn’t work for you, or is too painful for you, or if you lost your job. Bank error in your favor only exists in Monopoly. If you sign a contract worth thousands of dollars, when you miss a payment, your credit is at risk. After all the complexities of the deal are figured in, you later find out that you should have gotten a few more estimates before you signed that legally binding contract. Never sign contracts for services that you haven’t received especially laser hair removal. You’re gambling on too many variables to work out perfectly in your favor. If you have to gamble, go to a casino where there’s a small chance you might have some fun. #3 Beware of Promises of the Laser Hair Removal Being Permanent. Laser hair removal permanently reduces (not removes) the hair that you have about 15 to 20 % after each treatment. For hormonal conditions like polycystic ovarian syndrome, it takes more. Touch-ups or maintenance is required for most people just like exercising. Even though it’s not permanent hair removal, it’s still the best thing out there to get rid of unwanted hair. Just keep in mind of the limitations of this technology and have realistic expectations. #4 Beware of the Place Where Laser Hair Removal is Done. Lasers are medical instruments just like a scalpel. Lasers are used in eye operations, to stop bleeding and to cut tissue during surgery. Lately, electrologists, estheticians and non-medical personnel are performing laser hair removal without any type of medical supervision. A dentist with an office a few miles down the road from us was sued after an untrained assistant severely burned a patient which appeared in the New York Times. 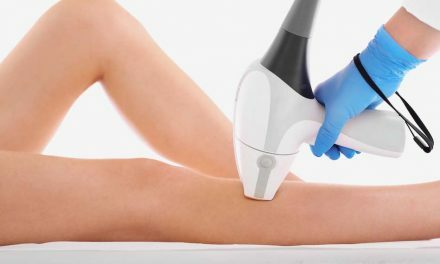 Why is it any different when laser is used on the skin to remove hair? In many states, there are severe restrictions where laser hair removal can be done. Some states require that a doctor do it. Other states require varying degrees of medical supervision. Our advice is to only consider doing laser hair removal in a doctor’s office under the direct supervision of a laser physician. Why trust your skin and results to a sketchy med spa or laser company? Often, you’ll be passed onto the first available technician on the days of your treatments where there are variable degrees of experience. The medical supervision may be in name only. The doctor may be in a totally different state. Horror stories of unsupervised laser hair removal are easy to find on the internet. Again, we say if you want to gamble, go to a casino where you’ll have better odds. #5 Beware That Different Types of Lasers Are Available to Remove Hair. For people with light skin, there are two basic types of lasers that give good results. Alexandrite lasers have a shorter wavelength around 755 nm and excel with whiter or light skin color. Diode lasers use a wavelength around 810nm. That longer wavelength results in a deeper penetration of the skin and can avoid skin damage superficially near the skin’s surface in darker skin patients. Alexandrite lasers are best for lighter skin types (people who burn easily when tanning). Alexandrite lasers with the Cryogen cooling system are the least painful. Intense pulsed light machines can remove hair but are inferior to true lasers and have a steep learning curve. IPL is actually just a flash lamp and is not an actual laser. The bottom line is you should avoid places that use the inferior IPL or intense pulsed light machine to remove hair. To sum it up, here’s advice from a doctor who has been specializing in laser hair removal for nearly twenty years. Don’t fall for fake laser hair removal discounts. 2. Have your laser hair removal done in a doctor’s office. 3. Don’t finance your laser hair removal and always research a fair price before you sign anything. 4. Make sure the laser is the best one for your skin type. 5. Have realistic expectations but realize that for most people laser hair removal is their best option for removing unwanted hair.